The Ultimate Beach Hopping Adventure: The best beaches in Phuket. If you want to get beachy in Thailand, please do it in Phuket. This island is filled with beautiful and miraculous beaches at every corner. Whatever you’re interested in, Phuket’s got it all. If you’re backpacking to party, party it up. If you’re simply ready to relax after days of traveling, you can do that too. It is a relaxation haven. Bangtao Beach mixes relaxation with lively recreation. 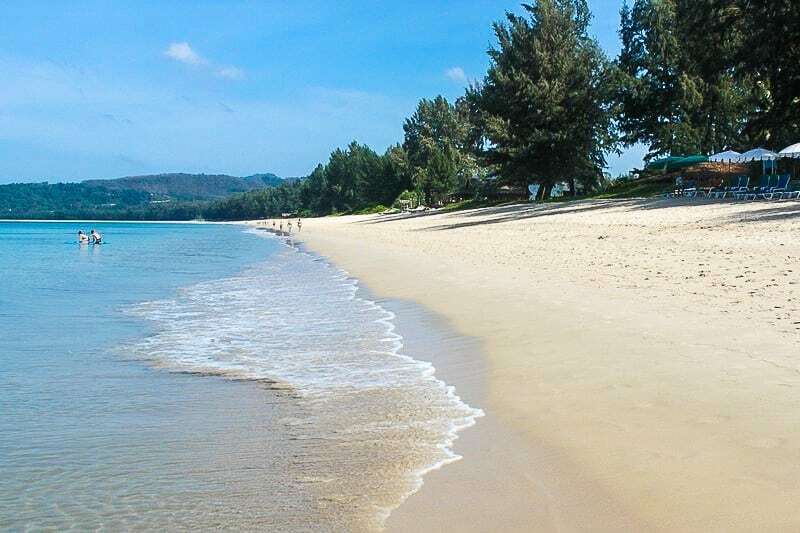 Just a 40-minute drive from Phuket Town, it’s one of the longest beaches in the area with loads of fun for all ages. The calm turquoise waters are perfect for swimming and the restaurants are amazing. Foodies should definitely plan on visiting Lotus for some excellent and reasonably priced Thai food and seafood. Don’t worry party animals, there’s even something for you too. The south end of Bangtao Beach boasts some of the best beach clubs in Phuket. Enjoy a cocktail or two here—or perhaps even three, if you dare. If you’re looking for a break from the crowds, Layan Beach is where you can get it. The beach is definitely remote. 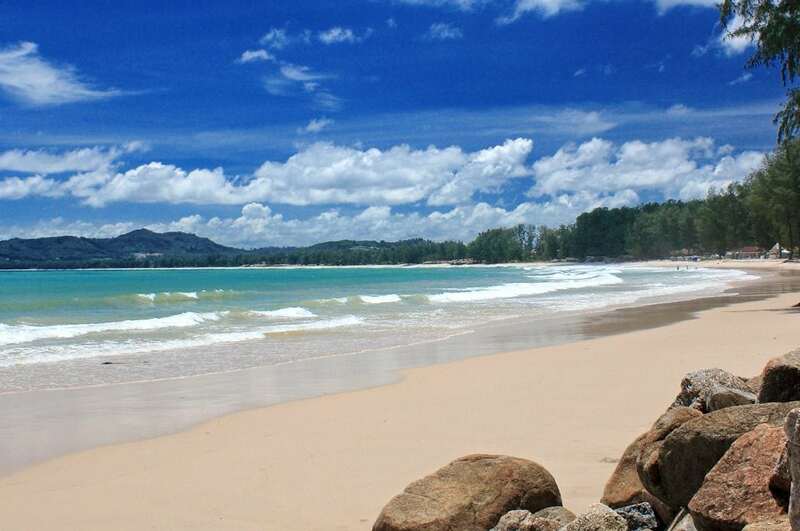 It’s located on the west coast of Phuket at the northern end of Bangtao Beach. But unlike Bangtao, there’s an even more relaxed aura about Layan’s crystal clear waters and soft white sand. Free of boisterous jet skis, touting and packed touristy restaurants, you get a true picture of what Thai bliss really feels like. For an even quieter paradise, rent a sea kayak, and paddle to Koh Kala, a small island located north of the beach. The raucous nightlife, neon lights, and soft smooth sand of Patong Beach make it a must-see destination for young backpackers. 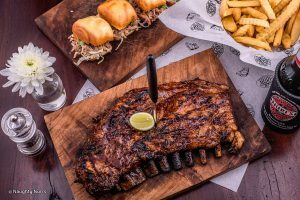 This party paradise is just an hour away from Phuket Town and is definitely worth the drive to indulge in some major fun. 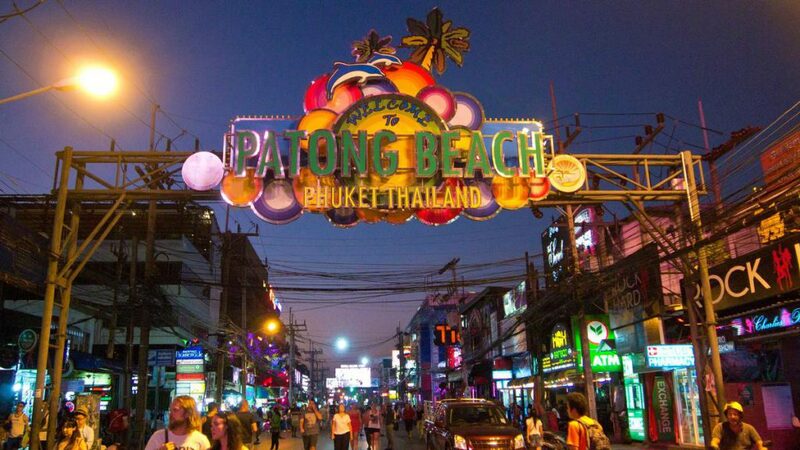 Patong Beach invites you to live it up with diverse cabarets, beer bars, go-go bars and nightclubs that saturate its neon-lit Bangla Road. If you get a nasty hangover later, at least you have a beautiful beach to help you get over it. Relax under an umbrella and take in Patong’s wonderful turquoise blue views. It’s a no-brainer. Paradise Beach is truly a beautiful paradise. 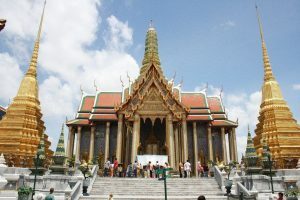 Just an 8-minute drive from the popular Patong Beach, Paradise’s lush greenery, pancake-flat white sand and colorful shades of azure blue water set the scene for a fantastic city break. Lie outside and tan in this tranquil haven or spice things up with some adventurous water sports. The Paradise Beach Club hosts fun-filled activities like snorkeling, kayaking, body boarding and scuba diving for adventure-seekers. Freedom Beach’s heavenly ambiance of pristine sand and crystal blue water definitely makes you feel free. 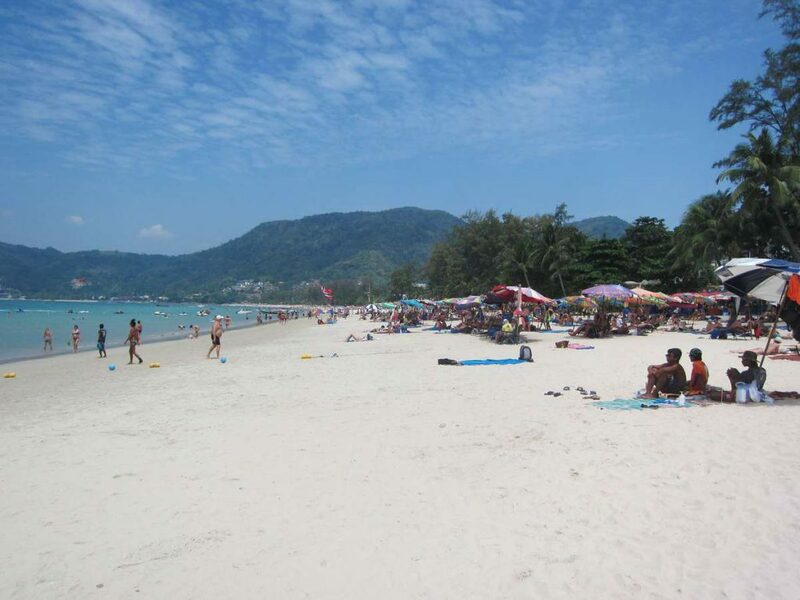 However, getting to the beach isn’t an easy feat; it can only be accessed by long-tail boat from Patong Beach. But if beaches like Patong aren’t peaceful enough for you, Freedom Beach may be the tranquil Thai bliss that you’re looking for. 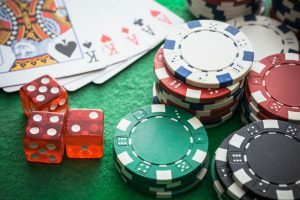 Say goodbye to jet-skis, parasails and pestering vendors that can easily drive you crazy. At Freedom, you have the freedom to relax and unwind. The 300-meter long strip of white sand is some of the finest in Phuket and when you walk along it, you’ll clearly see why. What has beautiful soft sand, graceful palm trees, and glistening, clean waters? Kata Beach, of course! 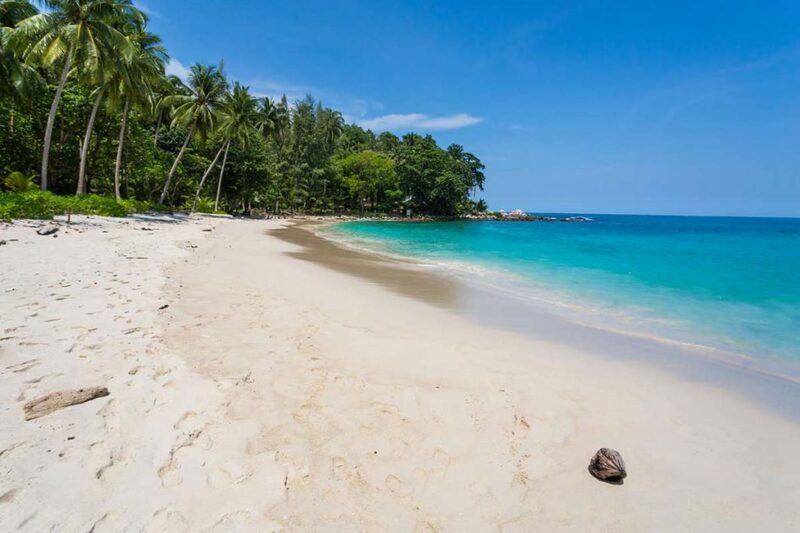 Just a half-hour drive from Phuket Town, Kata Beach is the perfect spot to snorkel, surf or lie out and get a tan. Plus, if you want to get a picture of those colorful longtail boats for Instagram, here’s the place to do it. 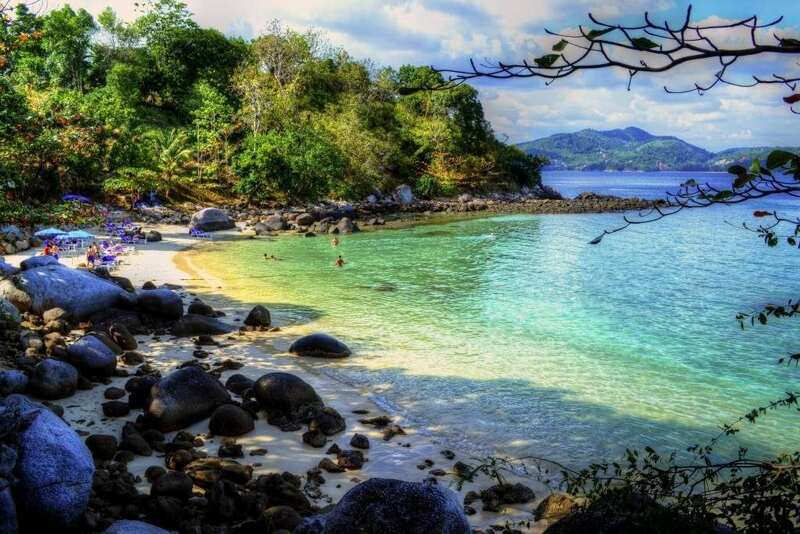 Best of all, Kata Beach is budget-backpacker friendly. You’ll find a good amount of cheap food and drink vendors on its north end. So don’t be afraid to get a bite to eat after a nice swim. Please try to visit them all! 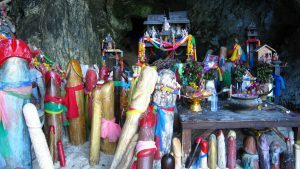 Phuket is a great island for beach hopping because each one offers something different. 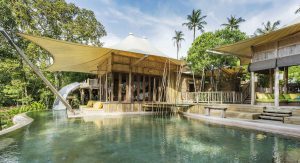 So, go party it up in Bangtao, snorkel at Kata and lie out on the sand at Freedom. When it comes to beaches, Phuket offers the ultimate adventure. The best part is, you’re always in paradise. Have you been to any of these beaches? Let us know which one was your favorite! !